Long-serving Michelin staff in Dundee will receive six-figure sums from the factory’s closure. The Duke of Cambridge has said he is “optimistic” about the future for workers at a tyre factory in Dundee which is set to close. Dundee’s iconic V&A was due to be given the royal seal of approval today when the Duke and Duchess of Cambridge officially opened the venue. Michelin workers could be in line for a share of an extra £10 million wrangled out of the Scottish Government for the Tay Cities Deal, a Dundee MSP has suggested. 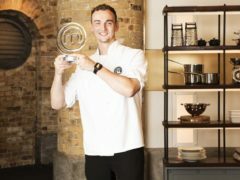 Young chef Laurence Henry has triumphed in the 2018 series of MasterChef: The Professionals. Michelin bosses are expected to sign a pledge by Christmas to deliver replacement jobs at its doomed Dundee site. The closure of Dundee's Michelin factory has been confirmed with the loss of 850 jobs. The firm behind the new Baldovie incinerator project in Dundee – which was to provide steam to the Michelin factory – expects to be compensated if the tyre company closes its city site. The leader of Dundee City Council is to spend the next few days “making a case” to persuade Michelin to keep a foothold in the city. More than 70 people from the Dundee business community attended a breakfast meeting hosted by Michelin yesterday when they learned how they could have a role in preparing young people in the city for the world of work. Negotiators will meet Michelin bosses with a plan to save as many jobs as possible at the tyre giant’s doomed Dundee factory.